Dua Lipa attends Spotify "Best New Artist 2019" event at Hammer Museum on February 7, 2019 in Los Angeles, California. 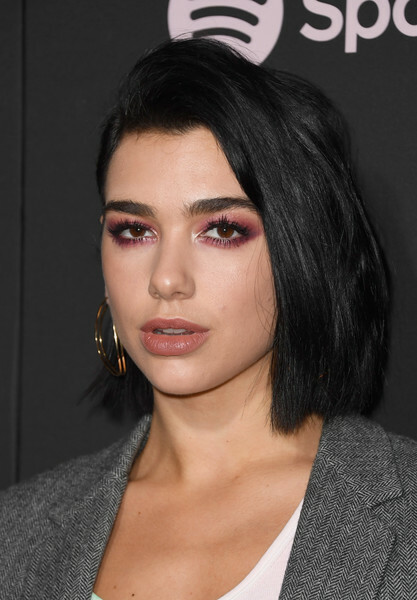 Dua Lipa highlighted her eyes with a smoky application of ruby shadow. Dua Lipa styled her hair into a half-pinned bob for the Spotify Best New Artist 2019 event.